I saw “Primary Colors” when it was released a decade ago. Though I was impressed by John Travolta’s performance as a Bill Clinton-like presidential candidate, I was distracted by Emma Thompson’s Hillary-like wife, because her accent kept wavering. But having just re-watched it, I realize my initial reaction was wrong, and I’m adding “Primary Colors” to my Movies You Might Not Know list. Thompson’s actually quite strong, and the supporting cast is solid, from Adrian Lester as the young campaign aide who finds himself becoming a true believer, to Kathy Bates stealing every scene she’s in as a dirty tricks fixer, to Billy Bob Thornton as a James Carville-like adviser who’s seen it all. I particularly enjoyed Maura Tierney as one of Travolta’s spokespeople showing up on “Larry King Live” with some cell phone audio the host wasn’t expecting. With Mike Nichols directing from a script by Elaine May, based on Joe Klein’s novel, the movie is full of “hey, look, it’s….  !” cameos by Rob Reiner, Robert Klein, Larry Hagman, Diane Ladd, Allison Janney, Mykelti Williamson, and Tony Shalhoub. 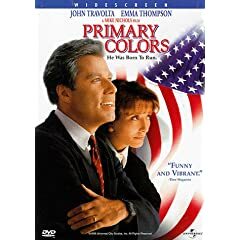 Since the Clintons are campaigning for the White House again, “Primary Colors” is certainly timely again.